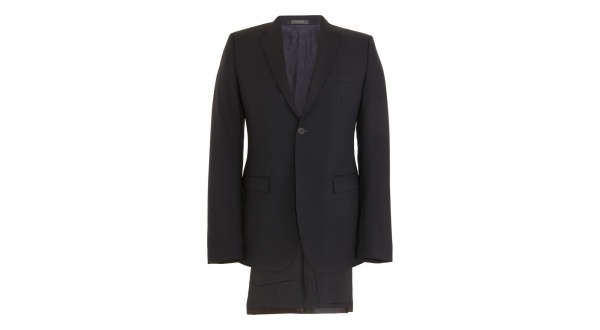 Jil Sander‘s Tailor Made collection presents this satin trimmed navy two piece suit. A bit of true luxury, this suit features Italian construction, mohair-silk blend design, and a smooth, clean finish, consistent with Jil Sander’s minimal style. Available online now. This entry was posted in Suits and tagged Jil Sander, Suit. Bookmark the permalink.